Before when it came to Lil Man's hair, sometimes I really didn't care what I used to wash it. I know that sounds bad, but he generally has rather short hair, and unless it short enough to spike it, it just lays there. On top of his head. My thoughts on kids products changed late last year. I personally have been interested in cruelty-free beauty products, and when I thought about my kid, I learned that maybe he should be using cruelty-free products too. But that's the problem: there aren't a lot of brands out there that are designed specifically for kids, AND are cruelty-free. A few weeks ago, Brandbacker introduced me to SoCozy. 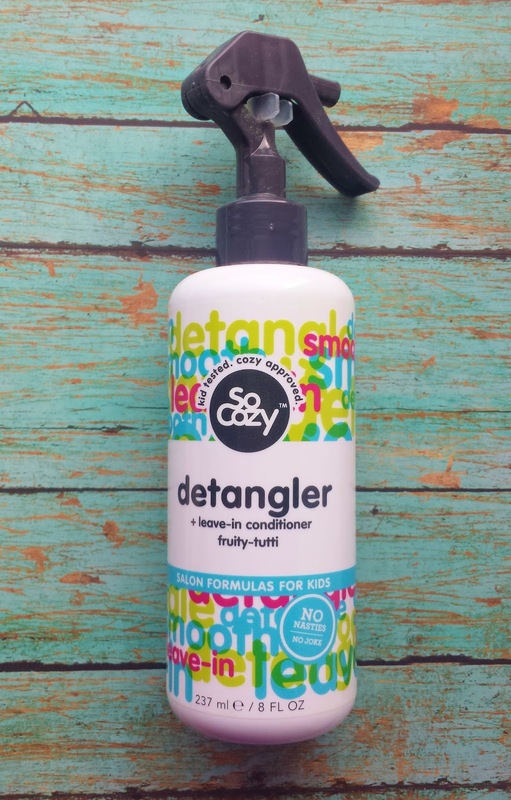 The idea behind SoCozy is simple: managing your child's hair shouldn't be complicated, but simple. 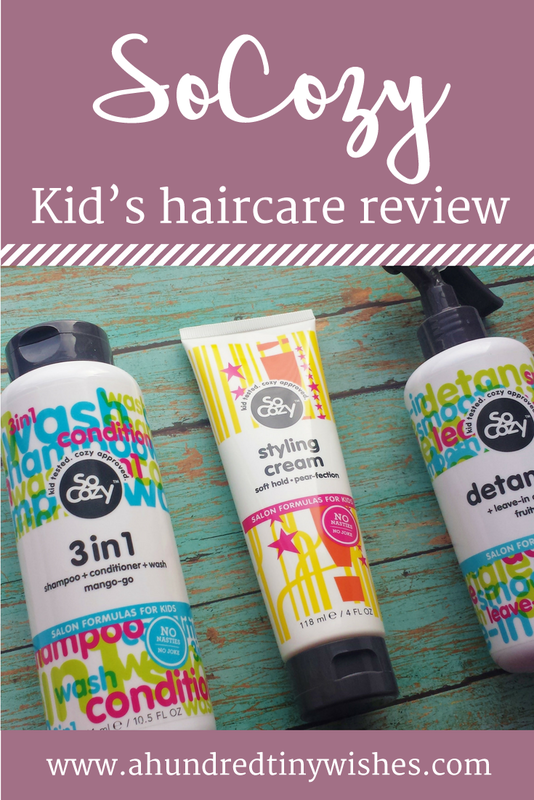 They offer a great line of products with specially developed salon-quality formulas that boost multi-functional uses made just for kids. SoCozy was created by a lady that who founded the first children’s hair salons in New York City. Early in the beginning, SoCozy adopted a higher standard their products: no chemicals or preservatives. Today that standard is a promise, and shines with every bottle. The products contain natural and organic ingrediants, but do not include Parabens, Sulfates, Phthalates, Formaldehyde, Synthetic Color or Propylene Glycol. They are also free of Gluten, Wheat, Peanuts and Tree Nuts. And as an added bonus: the products are NOT tested on animals. 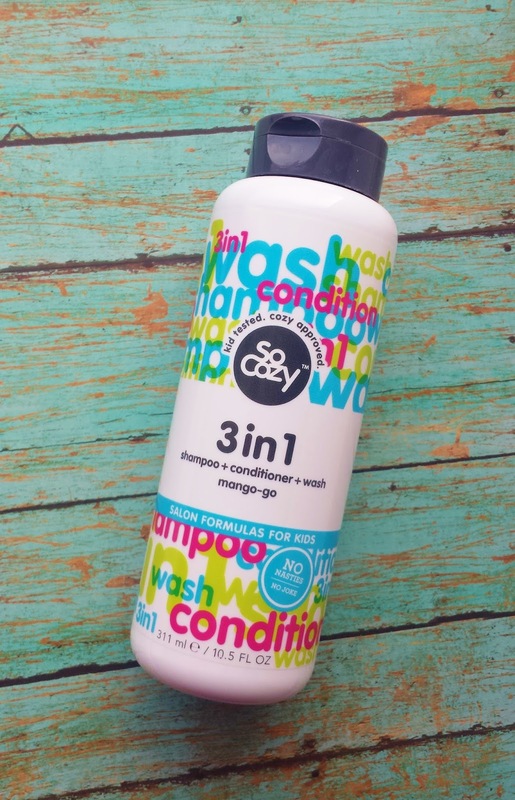 In the scent of Mango-go, the one thing that I really love about this product, is the fact that it's 3-in-1, meaning that when Lil Man takes a shower or a bath, I don't have to use more than one product. It's convenient, it smells really good, and made my little one's hair so darn soft! Like I said, Lil Man has short hair, so he really didn't need any detangling. Instead, I used it on my hair. It worked beautifully. I have rather thin hair, and this made it feel soft, healthy, and hydrated in one use. I does have a fruity smell, but is not overpowering. Since Lil Man's hair is short, it does tend to stick up a little bit. After showering, it's nice to smooth this over his little flayaways, and see them lay down. I have also used this on my hair, and let me tell you- it works better than some of my really expensive hair products. It smells really good- the scent is Pear-fection, and does not make the hair sticky, crunchy, or flat. And it's lightweight. As you can tell, I really liked the products that I was able to try from SoCozy. Besides smelling really good, it's really nice that you can get salon-formula kids hair products for a deal. 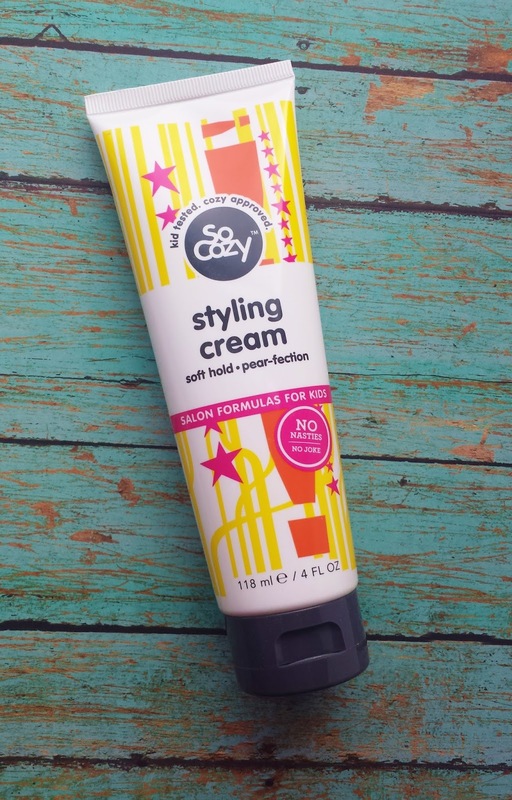 If you are interested in SoCozy products, you can find them on the SoCozy website, at Target, and at other retailers (by using SoCozy's store locator). Disclosure: This is a Sponsored Post. I was given the SoCozy products shown in the photos above via Brandbacker in exchange for an honest review. The opinions I have expressed in this post are 100% my own.